Alfred Gassner was Born in Austria, but moved to the U.S. later on. During the 20s and 30s he worked for Fairchild Corporation before he returned to Europe in 1935. He Joint the JFM on personal request of Heinrich Koppenberg and assisted Zindel in Detail design questions of the Junkers Ju88. 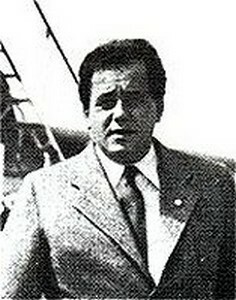 In 1937 Gassner left Junkers and moved to Sweden. Gassner was employed by AB Forenade Flygverkstäder (AFF), which was founded in 1937 to design aircraft for ASJA at Linköping and the new Company Svenska Aeroplan AB (SAAB) at Trollhättan. He designed the F-1, an oberserver aircraft similar to the Westland Lysander. This aircraft was offered to the Swedish Air Force on 15 Aug. 1938 togehter with the ASJA L-10, which had been designed by a Team of American Designers. The L-10 was prefered and was later built as the SAAB 17. Grassner's F-1 was discontinued. When ASJA was incorporated into SAAB in March 1939, Gassner left the Company and returned to the U.S. after a short stay with Fokker in the Netherlands. Johannes Gasterstaedt joint the Junkers Hauptburo in 1923. Later he moved to the engine division and was responsible for the developement of the Junkers Oil Engines. Gasterstaedt finished the Jumo 204 Engine Development in 1932 and further developed the Jumo 205. Later Gasterstaedt started the development of the Jumo 223. But just a year after the Project start, Gasterstaedt died in 1937. Manfred Gerlach continued Gasterstaedt's work after his death. Carl Gausmann joint the Junkers Research Institute in September 1923. Later he moved to Prof. Mader as a design engineer and worked on the Junkers Fo2, Fo3, Fo4 Oil Engines as well as on the L5, L8 engines and the Jumo 210. From 1938 he was the manager of the Jumo construction office of the serial production. After WWII he was responsible for managing the remaining Junkers patents. Manfred Gerlach started his carreer at Junkers at the Fili Plant in Russia. In 1926 he returned to Dessau and became a test engineer in the Oil Engine Department. Later he became Test Cell Manager at JFM. After the death of Johannes Gasterstaedt, Manfred Gerlach took over the development of the Jumo 223. He was also engaged in the development of the high altitude engine of the Junkers Ju86. . At the end of WWII Gerlach was responsible for the Jumo 224 developement, which was continued in Kuibyschew after WWII. He returned to East Germany in 1954 and became Technical Director at the Pirna Motorenwerke, where he developed several engines for the VEB Flugzeugbau Dresden. Following a Crash of the Pirna 018 in 1959, Gerlach was arrested by the Stasi. He was released in 1969 and sent to West Germany. Alfred Gimm Joint the Junkers Engine Plant in 1925 as a test engineer. He supported Gasterstaedt in the development of the Jumo 204. In 1929 he became Manager of the pre series test cell in Dessau Later Gimm participated in the Jumo 222 development. In 1946 Gimm was sent to Kuibschwe, where he worked on the Jumo 012B PTL and the NK-12. In 1954 he returned to Germany and worked on the Setup of the Pirna Production Facility. In 1955 he became test cell Manager at Pirna. Together with Sachsenberg, Heinz Gretz founded the Siedlungsgesellschaft Seerappen mbH for the former members of the Geschwader Sachsenberg on 17th January 1920. 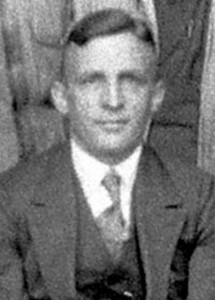 He became Flight Director at Schneidmühl for Lloyd Ostflug GmbH in 1920. But in December 1920 Gretz left Schneidmuehl and sold his shares of OLA to Sachsenberg. Franz Griebisch Joint Junkers in 1923. He was responsible for the elctric Equipments of aircraft. In 1933 he became head of the experimental lightweight laboratories. He Joint Hugo Junkers at Bayrischzell in 1934/35 and worked on Junkers' steel Building constructions. In 1935 he returned to Dessau and became a specialist in Aviation lightweight constructions. In 1946 Griebisch was sent to OKB-I in Podberesje, where he stayed until 1954. Griebisch became Project planning engineer for the Setup of the new VEB Flugzeugbau Dresden Facility. He later became director at the Aeronautical Research Center in Dresden. Hans Gopler Joint Junkers following his Engineering studies in Berlin. In 1939 he succeeded Quick as the Head of the Design Office. In 1944 Gopler left Junkers and became Professor at the Technical Highschool of Danzig. After WWII Gopler Joint Prof. Hertel in France. Since 1952 Gopler worked with MAN in Nurnberg. Georg Gruender was manager of the Junkers Hauptburo during WWII. He was also member of the board of directors of the Junkers Flugzeug und Motorenwerke AG. Robert Gsell was one of Germany's early pilots. In 1912 he first flew the Reissner Cunard of Prof. Reissner and Prof. Junkers in Aachen. He joint Flugzeugbau Friedrichshafen in 1912 and performed several record flights for them. During WWI he joint the DVL and in 1919 he participated in the F13 altitude record flight of "Annelise". 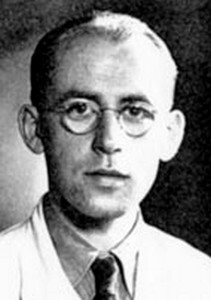 Waldemar Guenther was member of the Static Calculations Office at Junkers during WWII. When Karl Aikele left his Position as the Managing director, Guenther took over the Departement. He was later moved to Russia. 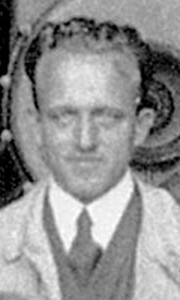 Gutezeit was one of the first meteorologists of Junkers Luftverkehrs AG in 1923. He was mostly responsible for the education of Junkers pilots regarding weather forecasts. 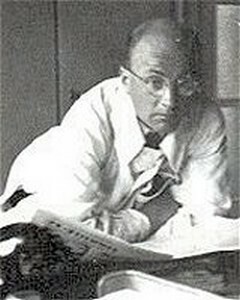 Fritz Haber was member of the Design Office at Junkers Flugzeugwerke during WWII. During the late phases of WWII he was responsible for the Mistel designs with Ju88 and Ju287 bombs. For that purpose Haber designed an electrical control system to transfer stick motions from the carrier aircraft to the bomb fuselage. Thus Haber claimed the first aircraft fly-by-wire system. Ulrich Hackbarth was member of the Supervisory Board of Junkers Flugzeugwerke in 1932. During WWI Hackmack joint the Fliegertruppe. In 1919 he started engineering studies at Darmstadt University. In December 1922 Hackmack joint Junkers Flugzeugwerke as a pilot and experimental engineer. In 1923 he became the managing director of the Experimental Flight Unit. In 1924 Hackmack went to Fili and became technical director of the Russian Junkers plant. In 1927 he left Junkers and worked as a technical consultant for Luft Hansa. Hackmack was killed, when he crashed with a Messerschmitt M20 in 1928. Dr. Hanns Heinz Hagemann studied National Economy at the Universities of Munich, Kiel and Wuerzburg. In November 1923 he joint the office of G. Sachsenberg at Junkers Luftverkehrs AG and moved to Junkers Flugzeugwerke, when JLAG merged with DAL in 1926. At Junkers Flugzeugwerke Hagemann was responsible for air traffic topics regarding aircraft designs. In 1931 he became head of the Air Traffic Department of JFM. This departement was dissolved with the breakout of WWII. Therefore Hagemann was sent to Japan in 1941. He returned to Germany in 1947. 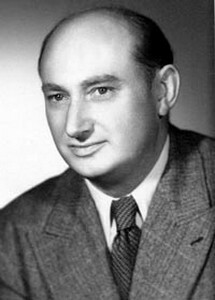 Together with Sachsenberg he was engaged in several companies during the post war period. Paul Hall joined IFM in 1940, when he left Fiesler Flugzeugbau. Hall was specially engaged for the development of the sailing transporter Junkers Ju322, which should be used for the operation Seewolf, the planned occupation of England. Erwin Handke Joint the Design Office of Junkers in 1934. He later changed to the Development Office and worked on the Ju90. 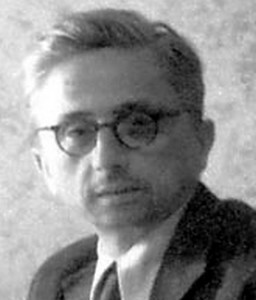 In 1940 Handke moved to Carl Zeiss, but returned to Junkers in 1945. In 1946 he was sent to OKB-I in Podberesje. He became technical director of the Pirna Engine Plant at Karl-Marx-Stadt in 1955. 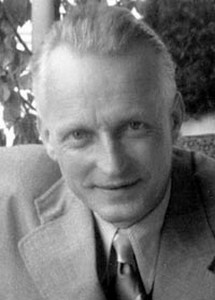 Since 1961 Handke was director of the Orsta Hydraulics. Haertl was a sales engineer at Junkes Flugzeugwerke. Later he joint the Hauptburo and became responsible for the planning of license production facilities in foreign countries. He was also responsible for the Mitsubishi license production in Japan for several years. 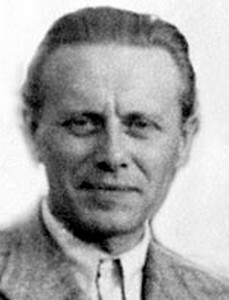 During WWII he became manager of the license production at Letov in Czechia. Gerhard Hartmann Joint Junkers in 1934. 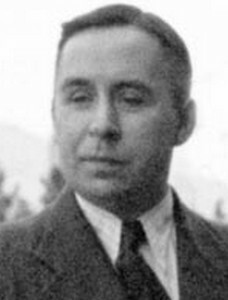 Together with Fritz Freundel he was engaged in the development of tail Units in the construction Office. He was responsible for the Ju88 tail unit construction and later became head of the tail unit construction Office. In 1946 he moved to OKB-I in Podberesje, where he continued the tail unit design of the Ju287, EF131 and EF152. Since 1955 Hartmann was responsible for the tail unit Trials of the Baade 152 at VEB Flugzeugbau in Dresden. He was also engaged in the development of the Baade Turbine Car. Haseloff was member of the construction office of Dr. Zindel at Junkers Flugzeugbau since the early 20s. He was responsible for the fuselage design of the Junkers J21 built for Russia and for the Junkers G24. Since 1923 Haseloff was the head of the fuselage construction Office. He developed a new fuselage design with the Ju160 fuselage. After WWII Haseloff was sent to Podbersje with the Baade Team, where he continued his fuselage design work of the Ju287. Since 1955 Haseloff was a construction Manager and Deputy Chief construction engineer at the VEB Flugzeugbau in Dresden. Bruno Heck was general director of the Continentale Gas Gesellschaft and succeeded Oechselhauser. In 1919 he was elected into the board of directors of the "Anhaltische Verein fur Luftfahrt". In May 1919 he became assistant chairman of the supervisory board of the Junkers Flugzeugwerke AG. In 1925 he became the chairman and he was mainly engaged in the integration of Junkers Luftverkehr into Luft Hansa. Ing. Heinemann was head of the Fili GmbH in 1925, after the Reich took over control over Junkers Flugzeugwerke. Dr. Karl Max von Hellingrath became member of the supervisory board of the newly founded Junkers Flugzeug- und Motorenwerke AG in July 1936. He represented the German government as IFM shareholer. After WWII von Hellingrath became head of the Bavarian States Bank until 1954. Werner Hempel Joint Junkers Construction Office in 1936. Since 1938 Hempel was engaged as an experimental engineer and later worked at the HK900 Wind Channel. In 1946 he was sent to OKB-I at Podberesje. After his return in 1954 he Joint the VEB Flugzeugbau Dresden, where he became responsible for the construction documentation. Julius Henrici joint Junkers Flugzeugwerke from Henschel during WWII. At Henschel he was engaged in the Hs117 Schmetterling developement, but at Junkers he was more focused on the high altitude engine developement of Junkers Motorenwerke during WWII. In the post war period he moved to Boelkow Entwicklungen KG and later he joint the JFM successor Junkers Flugzeug und Motorenwerke in Munich, where he became managing director. When JFM Munich was absorbed by MBB in 1969 Henrici remained in the space program, which was originally driven by JFM Munich. He retired in 1974. Kurt Henschel joint Junkers Motorenwerke in 1933 and worked with the Technical Customer Support of Jumo. He was responsible for the training of Luftwaffe staff on Jumo engines. In 1939 he became responsible for the organisation of the operational mechanics at Jumo and later he took over the management of the Muldenstein maintenance facility. Prof. Heinrich Hertel started his carreer as a student of construction engineering at the TH Munich. In 1926 he joint DVL in Adlershof and in 1932 he swapped to Heinkel Flugzeugwerke. In 1934 Hertel was appointed the technical director of the Heinkelwerke, where he was responsible for the Heinkel H100 and He111 developement. He joint IFM in May 1939 as a successor of Prof. Herbert Wagner. He started his Junkers activities with the developement of the Junkers Ju288 He was also a member of the IFM board of directors since 1939 and the deputy chairman of this board. After WWII Hertel first went to France and worked with several offical organisations and companies there. In 1950 he joint the TH Berlin and became aeronautical professor there. Since 1959 he was also a consultant for Focke Wulf in Bremen. In 1977 he finally retired. Otto Herzog participated in the final construction of two Junkers Ju287 following the end of WWII in Dessau. In 1946 he was sent to Podberesje in Russia together with the Baade team. He returned to Germany in 1953 and organised the setup of the GDR aviation industry in Pirna. In 1957 he left the GDR and moved to Telefunken in Constance. Peter Hesselbach was a test pilot at JFM Dessau during the thirties and fourties. He first flew the Junkers Ju89 on 11th April 1937 and the Junkers Ju90 on 28th August 1937. At Bernburg he also few first the Junkers Ju322 transport glider in April 1941. 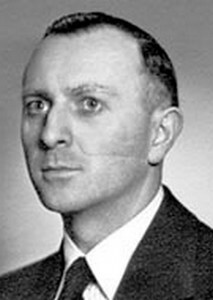 Sighard Hoerner was the head of the Aerodynamic Design Office of Junkers during the second half of the 1930s. In 1941 Hoerner left Junkers and moved to Messerschmitt. He was succeeded by Georg Backhaus. 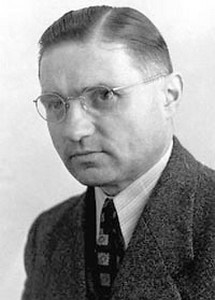 Werner Hogrefe was the head of the Statistical Department at Junkers Luftverkehr from 1924 to 1925. When JLAG merged with DAL, Hogrefe left Junkers and went to Lufthansa, where continued his job until 1945. Ing. Hofmann was member of the construction office of Junkers Flugzeugwerke. He was responsible for the detailled design of the Junkers G31 passenger airliner. Franz Holzmann gained experience as a test pilot at Siemens-Steffen with Giant aircraft during WWI. In 1919 he started his studies for aviation technologies and finished them in 1922. He joint Junkers Luftverkehr as a pilot and became Flight Director of Junkers Luftverkehr in 1923. In 1924 he joint the South America Expedition and in 1925 he became responsible for the Junkers dependency in South America. In 1930 he left Junkers, but remained in South America and took over the technical management of Syndicato Condor. At the end of WWII he was arrested and sent to England, where he remained in a prisoner camp until 1948. Hoppe studied at TH Darmstadt and joint Junkers in October 1924. He was member of the Research Institute and later became manager of the experimental flight group. Ing. Hoppe was engaged in several first flights of Junkers aircraft designs. Together with Neuenhofen he flew first the A48 and he also flew first the Ju 49. In 1934 Hoppe left Junkers and took over responsibilities at DVL at Adlershof. Wilhelm Horter was a co-founder of Junkers-Fokker-Werke A.G. in October 1917. He became general director of the Junkers-Fokker-Werke GmbH Berlin and Schwerin. Wilhelm Hundt studied Engineering at the Hannover Highschool. In 1934 he started his carreer at Fieseler as a detail construction engineer. In the same year he changed to Junkers Construction Office, where he designed tail Units for the Ju89, Ju90. He was also engaged in the development of the high altitude aircraft Ju86P and the prototype construction of the Ju288. In 1941 he went to Opel at Russelsheim, where Junkers had a remote design Office. Since 1942 Hundt was the head of the Junkers Prague Construction Office, which was busy on the Ju290, Ju252, Ju388 and Ju287. In 1946 Hundt was sent to OKB-I at Podberesje, where he was busy as an experimental engineer. He returned already in 1952 to Germany. Gustav Huss studied engineering from 1918 to 1920 and joint Junkers Flugzeugwerke as an engineer in 1920. From 1924 to 1926 he worked at Fili and in 1928 he became responsible manager for the technical training at Junkers Flugzeugwerke. He remained in that position until 1945. Rudolf Oskar Irmer alias Gottschalk wrote already narrative aviation stories during WWI. One of his best known books was "Oswald Boelcke - an aviator life" of 1916. In 1922 Irmer joint Junkers Flugzeugwerke and became member of the PR Departement. Since 1923 he was responsible for the editorial of the "Junkers Nachrichten". Walter Issel joint Junkers Luftverkehr in February 1924. In 1925 he was appointed for the board of directors at Rumpler Luftverkehrs AG on behalve of JLAG.